Way to Go, New Gloucester! Sometimes you gotta’ talk about what’s going RIGHT in a town! There are plenty of things in New Gloucester to get citizens riled up – but there is a lot to be really proud of. What brought this to mind was two weekends with great events. The Rain or Shine Club has scheduled an outing to explore the Big Falls Preserve at 10 a.m. Thursday, Feb. 7. The 40-acre preserve at the far end of Woodman Road, straddling the New Gloucester and Auburn line, was donated by Michael and Julie Fralich to the Royal River Conservation Trust in December. It features a scenic waterfall at the mouth of a small wading pool, creating a destination for hikers on a 1.5-mile loop trail. Snowshoes are recommended. The parking spot is at the junction of Woodman Road and Ayer Road. For more information, contact Kyle Warren at kyle@rrct.org. 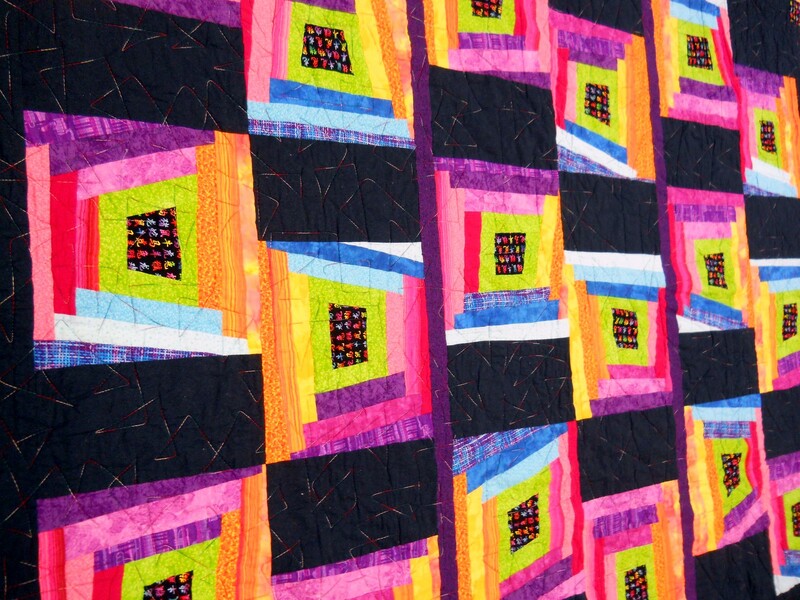 This brightly colored quilt handcrafted by Brenda Cookson is being raffled to benefit the New Gloucester Public Library. The New Gloucester Public Library is conducting a quilt raffle. The seamstress is Brenda Cookson, and the quilt is about the size of a large twin. Tickets are on sale at the library located at 379 Intervale Road and will continue to be sold until their Cabin Fever Book and Bake Sale on Feb. 9, or the blizzard date of Feb. 16. The price is $1 for one ticket or $5 for six tickets. 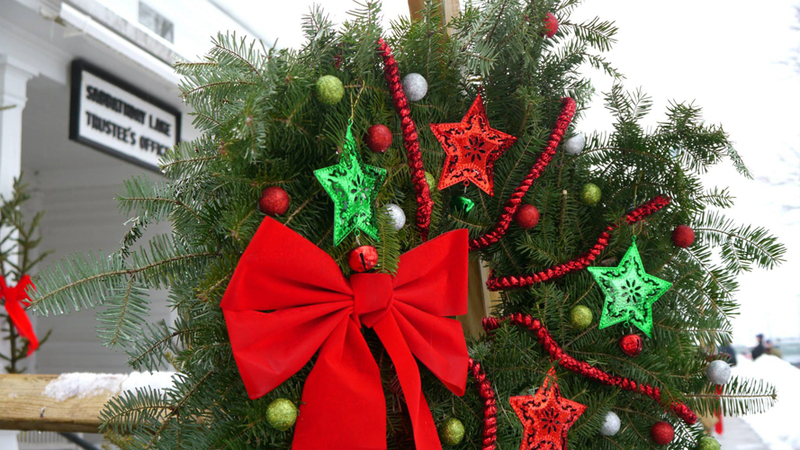 Decorated balsam wreaths and many other Christmas seasonal decorations will be for sale at the annual Shaker Christmas Fair on Saturday, Dec. 1. The annual Shaker Christmas Fair at Sabbathday Lake Shaker Village, 707 Shaker Road, will be held from 10 a.m. to 3 p.m. Saturday, Dec. 1. Specialties include Shaker baked goods – wheat bread, beer batter bread, cinnamon-raisin bread, Sister Frances’ famous fruitcakes, fresh-baked herbal biscuits, cookies and more. A wide selection of gifts and holiday items will be available, including Shaker cooking herbs, herbal teas, pickles, jellies, old-fashioned candy, maple syrup, pickles, cheese, woodenware, furniture, antiques, baskets, knit goods, toys, ornaments, decorated balsam wreaths, hot cider and homemade doughnuts. Proceeds from the popular White Elephant Room rummage sale benefit local food pantries. A 50/50 raffle will be held and lunch plates will be available while supplies last. 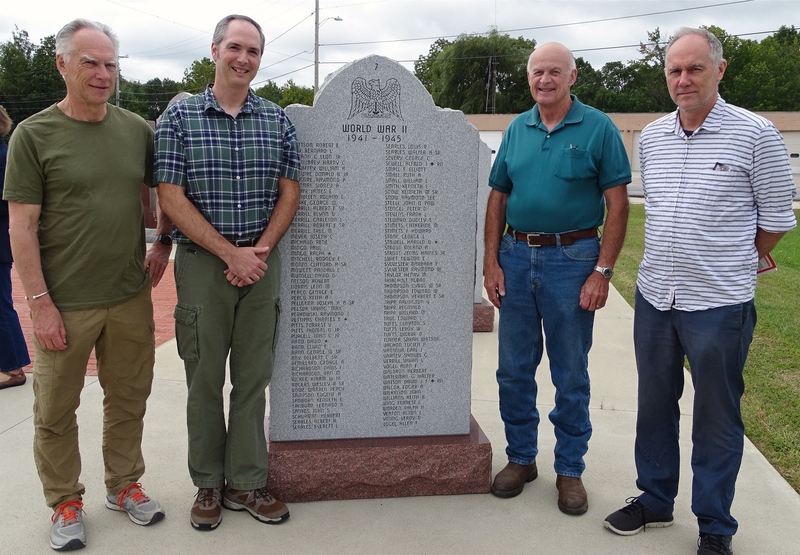 Rupert Watson, left, Tom Blake, Phil Blake and David Watson, along with others, met Sept. 19 at the New Gloucester Veterans Monument to see the inscription for the Watsons’ uncle, a British WW II pilot in the Royal Navy who perished over the skies of New Gloucester during training maneuvers in 1943. Tragedy struck over the skies of New Gloucester’s Intervale region 75 years ago. On Oct. 3, 1943, British pilots Lieutenant Commander Alfred Jack Sewell and Sub-Lieutenant David James Falshaw Watson took off from Brunswick Naval Air Station to practice training maneuvers. Apparently one plane came up under the other, causing a collision that resulted in the deaths of both pilots. The plane crash occurred over the meadow behind Everett Stinchfield Blake’s farm on Penney Road. Blake’s son, Phil, presented this story to his fellow members of the New Gloucester Veterans Monument Committee, who decided that the two WWII British allies deserved to be recognized on the town’s Veterans Monument. Rupert and David Watson learned about the tribute to their uncle through internet research. When Rupert and his wife, who are from New Zealand, were visiting his brother David in New York, they decided to visit the Veterans Monument. They contacted Jean Libby from the Veterans Monument Committee in advance. On Sept. 19, Phil Blake’s son, Tom, presided over a gathering of the three members of the Watson family, plus 20 New Gloucester Historical Society members and local dignitaries to honor pilot David James Falshaw Watson and present the trio with memorabilia from the monument’s dedication ceremony in 2014. 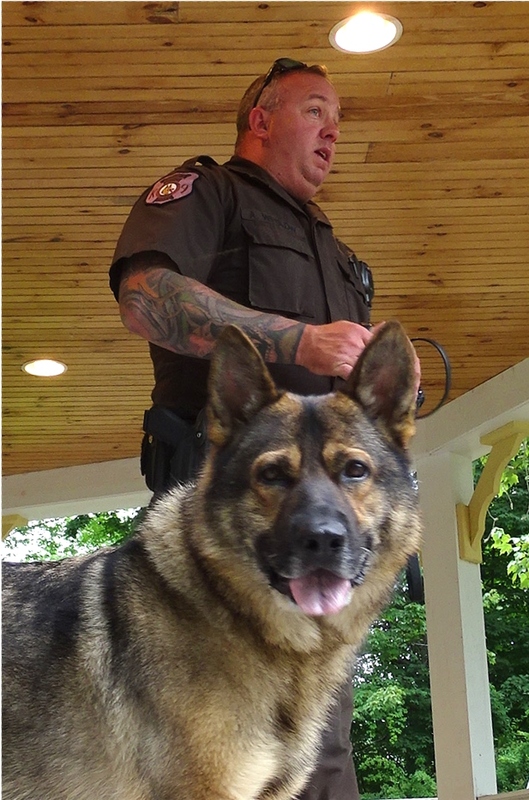 Cumberland County Sheriff’s Deputy Al Winslow talks about his experiences with his K-9 partner Ruk at the New Gloucester Public Library’s Pet Show on July 10. They graduated from the Maine Criminal Justice Academy in June 2013 having been trained in tracking, building sweeps, evidence and article searches, officer protection and suspect apprehension. Calling all thespians! The New Gloucester Public Library, 379 Intervale Road, will be conducting a casting call at 6:30 p.m., Tuesday, July 24, for this year’s play. Every child who wants a part is guaranteed one, and there will be speaking and non-speaking roles available. The Library Players will present their performance on Tuesday, Aug. 14, at 6:30 p.m. If acting isn’t your thing, come support the young actors as an audience member. Call Suzan or Carla at 926-4840 for more details. Would you like to show off your beloved animal and meet other interesting pets? 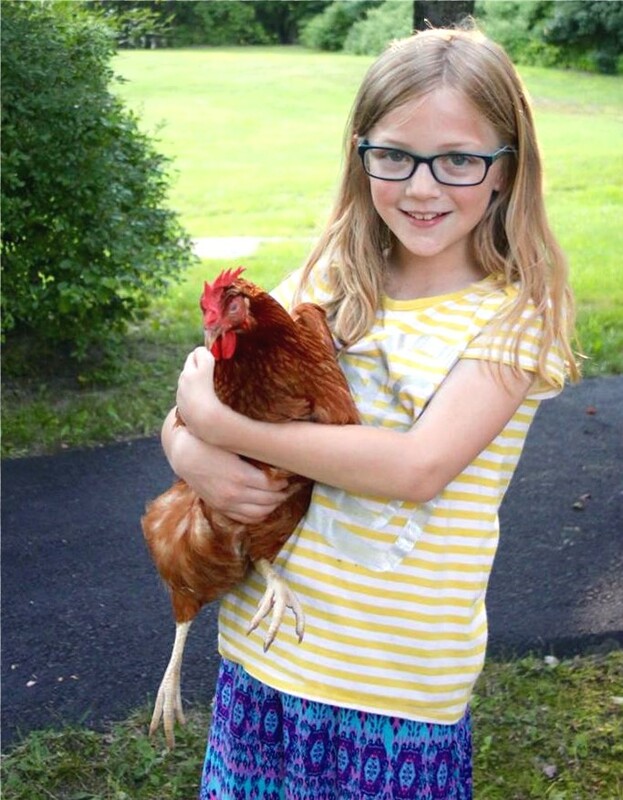 Come to the New Gloucester Public Library, 379 Intervale Road at 6:30 p.m. on Tuesday, July 10, for their 16th annual Pet Show. All pets are welcome to attend for socializing with other friendly pets and their owners. Light refreshments will be served. A representative from the GNG Animal Hospital will be on hand for a fun presentation. An additional exciting canine visitor will be in attendance to provide entertainment and education. Pre-registration is appreciated. For more information, call Carla at 926-4840. New Gloucester Public Library is proud to announce it will participate in the second annual Indie Author Day celebration with a free event Saturday, Oct. 14. Three local authors will conduct a panel discussion, which includes reading excerpts from their books, starting at 1 p.m. This event provides an opportunity to help local self-published and independent authors get discovered and for readers to find new books written by fellow community members. Joan Dempsey, Dave Jefferson (Dr. J) and Steve Rogers will share their experiences with various types of writing, fiction, nonfiction and poetry. The library is located at 379 Intervale Road, Route 231. For more information, contact Suzan Hawkins, library director, at srhawkins@newgloucesterlibrary.org or 926-4840. To learn more about Indie Author Day, visit www.indieauthorday.com. “The Explosion So Many Never Heard” is the title of a talk by Dr. Steve Rogers, retired Department of Justice historian, to be given beginning at 7 p.m. on Thursday, Sept. 21, at the New Gloucester Meetinghouse, 389 Intervale Road. The presentation, sponsored by the New Gloucester Historical Society, is free and open to the public. 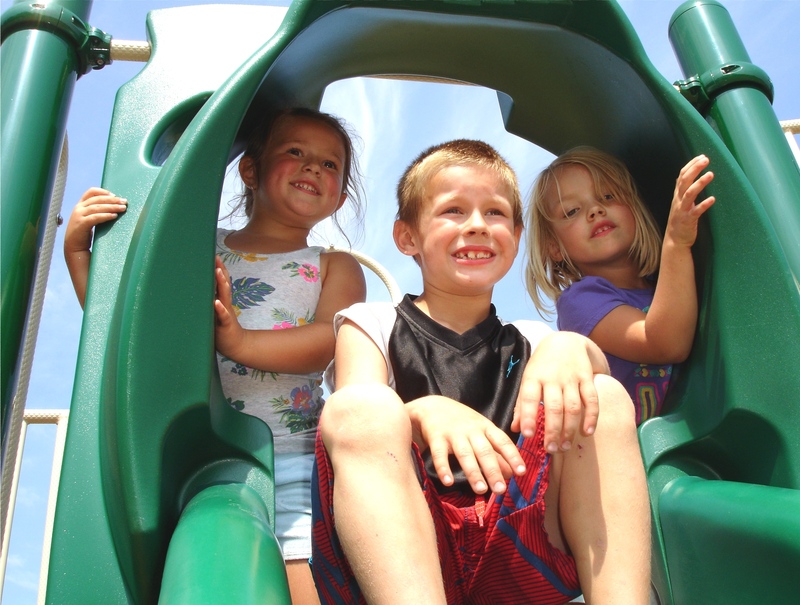 Ellie Jean Cosgrove, 5, of Freeport, left, Nicholas Pinette, 6, of Westbrook, and Reilly Lund, 4, of New Gloucester, try out the new playground at the New Gloucester Fairgrounds, 106 Bald Hill Road. Children in the area now have another recreational option – a playground located at the New Gloucester Fairgrounds, 106 Bald Hill Road. The facility is open during daylight hours and closes at dusk. The town’s Parks and Recreation Committee, headed up by Director Harvey Price Jr., devoted many years to the planning process, from the financing, including a federal grant, to erecting the equipment. The playground project finished up on Aug. 10. “We had a great group of volunteers who put in significant hours. Some are on the Parks and Recreation Committee, some aren’t. A few don’t even have kids or grandkids. They were there because it’s a community project,” Price said. Another undertaking at the fairgrounds is building a pavilion. Price estimated that the framework should be in place by the end of August, and volunteers will be sought for a community build of the roof afterward. Once the pavilion, which is adjacent to the fairgrounds, is done, hopefully in mid-September, there will be a ribbon cutting/grand opening to showcase the two projects.